Amazon has announced plans to acquire Whole Foods for $13.7 billion. This is a big move that shocked many. 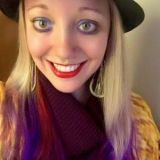 Is this a good thing? A bad thing? Or both? What does it mean for the future of food — and the future of natural and organic foods, in particular? These are all important questions. But first, let’s take a step back. Whole Foods has been struggling. The company has been experiencing declining sales for months. As demand for organic food has been rising, organic food has come to be sold in more places and often for cheaper prices. As a result, in many communities, Whole Foods is no longer the primary option for organic and healthier options. 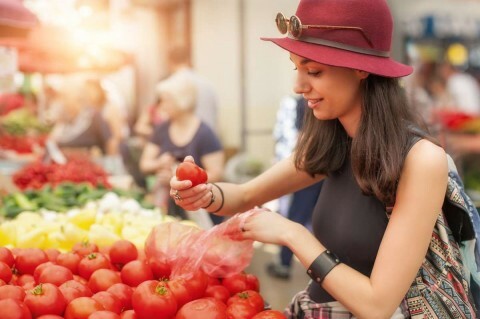 Mainstream supermarkets like Kroger, Costco, Safeway, and Walmart now stock natural and organic foods, too – right alongside their conventional (and “junk food”) offerings. Recently, Whole Foods has been under enormous pressure from investors to merge with another company — though very few expected it would be Amazon. Amazon is an enormous company that’s come to be known as “the everything store.” But even though the company has been trying to muscle its way into the grocery and produce business, it hasn’t been able to master online groceries the way it’s mastered other areas, such as books. Now as the owner of Whole Foods, the company could be poised to dominate the online grocery business — which it sees as a major emerging opportunity. The deal still needs to be approved by Whole Foods shareholders and regulators, but it’s considered likely to happen later in 2017. If the merger does happen, John Mackey will remain CEO of Whole Foods, and the store will continue to operate under the Whole Foods brand, according to a joint statement by the two companies. How will this change Whole Foods? Whole Foods has long been controversial amongst natural foods consumers. On the one hand, the company has pioneered taking fresh, organic, fair trade and sustainable foods into the mainstream. On the other hand, it has driven many independently owned natural foods stores out of business, and advanced consolidation and corporate takeover of the natural foods industry. Now, Whole Foods may soon be controlled by Amazon, a company that is known for being efficient and standardized, but that has a poor environmental record and questionable labor practices. Amazon is known for selling things faster and cheaper. And for selling just about everything, without regard to its impact on health, workers, or the environment. So undoubtedly, changes are coming for Whole Foods stores. But exactly what changes will occur, and how much things will actually change remains to be seen. Will the Amazon-Whole Foods merger change how people shop for food? Right now, most people go to a physical place to shop for groceries. But in the future, you may be doing all your shopping online — without ever leaving your home. And if you do shop in a store, the experience will likely be very different – and more focused on technological innovations. Some are saying this is the first step to changing how society shops for food in general. For example, AmazonFresh Pickup, which launched in March, allows customers to order online, and then drive to an Amazon-run store, where employees will bring out their food to them in a matter of minutes. Amazon has opened two stores, but now it could potentially expand this idea to Whole Foods markets nationwide. Amazon has also pioneered shopping and paying with a smartphone app – without having to go through a checkout line. A report from the Food Marketing Institute and Nielsen found that only around a quarter of U.S. households currently shop online for groceries, but predicts that more than 70% will do so within 10 years. In particular, millennials are the largest group of consumers using online grocery shopping. So, for better or for worse, it seems that online shopping really could be a part of the future of grocery shopping — and by purchasing Whole Foods, Amazon could be setting itself up to shape and perhaps even define this new direction. While it remains to be seen what effects this merger will have if it does happen, here are five potentially good things this change could bring. 1) It could help healthy and organic foods become more accessible and more affordable. The demand for organic is rising globally. The global food and drink market is expected to reach $320.5 billion by 2025. And organic spending is rising in the U.S. too. According to the Organic Trade Organization, Americans spent 8% more in 2016 on organic foods than they did the previous year. 2) It could bring fresh, plant-powered food to more people. 3) It could reduce food insecurity. 4) It could drive down the cost of organic. 5) It could drive other grocery stores to offer more high-quality, organic food. On the other hand, here are five challenges this merger could bring. 1) It could be too much power for one corporation. As he points out, the environment could become hyper-competitive, and independent retailers and brands would have even more difficulty being successful. There are even some observers and members of Congress who think the merger may violate antitrust laws. 2) It could reduce the quality of organic foods. 3) Whole Foods could lower its quality standards. As major grocers go, Whole Foods is known for its commitment to quality standards. But Amazon is known for selling anything, quickly and for the lowest price. Whole Foods CEO John Mackey has said that quality standards at Whole Foods would remain the same after the merger. But whether or not this is true remains to be seen – and is likely to soon be out of his control. 4) It could bad for workers. 5) It could be hard on farmers. More people are demanding food that is good for people and the planet, and this merger could help grow and sustain this trend. Organic, plant-powered food could become more accessible – and more affordable. But it’s also likely that quality will be diluted, and that standards for how food is grown, processed, prepared, and even packaged may go down. This could put more pressure than ever on consumers to make wise and conscious choices. Where you shop matters. 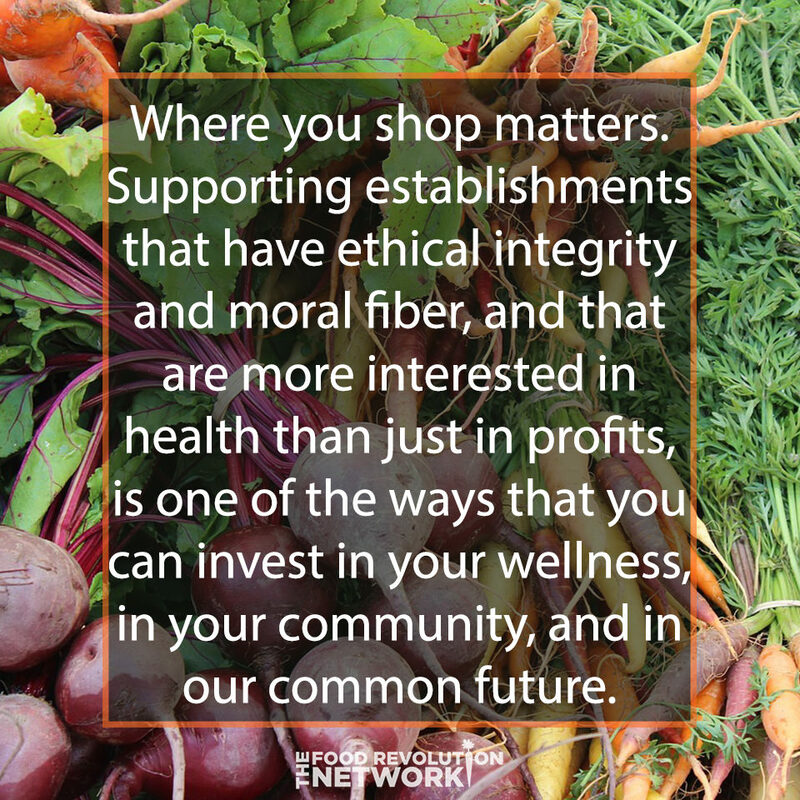 Supporting establishments that have ethical integrity and moral fiber, and that are more interested in health than just in profits, is one of the ways that you can invest in your wellness, in your community, and in our common future. Farmer’s markets and community supported agriculture (CSA) programs are a great way to support local organic farmers and to invest in your health at the same time. So are independent, locally owned natural foods stores and coops. And if you want to save 30% or more off typical Whole Foods market prices, while having 100% non-GMO foods delivered to your door, Thrive Market could be another outstanding option. In the end, every purchase you or I make is a vote. So it’s up to each of us to use our dollars to vote for the health and the future we deserve. Let us know in the comments below. What do you think about this development? And what changes do you think it will bring?